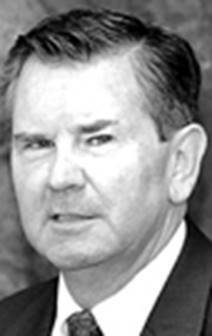 EDMOND—Michael L. Alford, age 60, of Edmond, Oklahoma, was born August 15, 1951, in Plattsburg, New York, and passed from this life February 12, 2012. Michael was the Director of Risk Management for SandRidge Energy for over 2 years. He is survived by his wife of 38 years, Nancy; and daughter, Cassie Alford-Achenbach and husband Matthew of Guthrie. A Memorial Service honoring Michael’s life will be held in mid August in upstate New York. Arrangements provided by the John M. Ireland Funeral Home & Chapel, Moore, OK.
EDMOND, Okla.—Michael Lynn Alford, 60, of Edmond, Okla., passed Sunday, Feb. 12, 2012, at Integris Hospice House in Oklahoma City. His wife of 38 years, Nancy; his daughter, Cassie; and his son-in-law, Matthew, were by his side. He was born in Plattsburgh, N.Y., on Aug. 15, 1951, the son of the late Marilyn Alford (Traynor); brother to Mariann Alford of Lexington, Mass. ; grandson to the late Clarence and Pearle Traynor; and nephew of Norman and Beverly Peryer of West Chazy. Michael was a graduate of Mount Assumption Institute, as well as a very proud graduate of Clarkson University, with a degree in civil and environmental engineering. At the time of his death, he was the director of risk management for Sandridge Energy in Oklahoma City. He was very well respected for his work ethic and well loved by all who worked with him. Michael enjoyed his work, as well as all things outdoors, particularly fishing. Most of all, he loved his family and going to basketball games with his daughter. Michael made it a priority to give all he loved his best, and he never disappointed. He was a strong man with a kind heart and could make a friend in a moment, especially with animals. Michael's strength will carry his family and those that loved him through this difficult time. There will be a memorial to celebrate his life in August in Plattsburgh. In lieu of flowers or gifts, please donate in his name to either the American Cancer Society or the Humane Society of the United States. AAFA NOTES: SSDI records do not list his death. We included the obituaries of his father, Maurice Lloyd Alford; and sister Melaney Alford in New York Obituaries. For more information about this family, see AAFA’s published genealogy, Known Descendants of Benedict Alford and Joan Newton. His lineage: Michael Lynn 1951 NY1, Maurice Lloyd 1926 NY2, B. McClure 1903 NY3, Frank Gates 1865 NY4, Ruel 1839 NY5, Rufus 1812 VT6, Ashley Owen 1770 VT7, Benedict 1716 CT8, Benedict 1688 CT9, Jeremiah 1655 CT10, Benedict 1619 England11, Thomas 1598 England12.